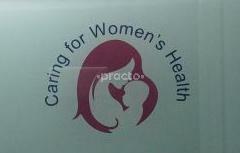 Orthomed women s centre caters all needs of women health care. It is visited by Dr Meenakshi R Kamath who is an Obstetrician and Gynaecologist in south Bangalore with a vast experience of 23 years. She is specialized in high risk pregnancy like diabetes, hypertension, thyroid disorders and Gynaecological problems. She has a passion for laparoscopy surgeries. Being a parent is one of the most amazing feelings one could wish for and so when I and my wife, Priyanka decided to take the next big step in our lives, we were very particular about the choice of the doctor. Find a good doctor may be easy but finding a good doctor who also happens to be an amazing person is very rare! Just like anyone else, we did our through research, read a lot of reviews before finalising a gynie. We are very lucky to have met Ms Meenakshi Kamath and the journey thus far (since the very beginning to now being a parent of a week old baby boy) has been very memorable. She is known to have a great rapport with each of her patients (which can be clearly seen from the reviews of others) and so, if you are looking for a gynie who has immense patience to listen to all your doubts/queries (from silly to serious ones), very supportive, a good guide, then we would very highly recommend Ms Meenakshi Kamath. If and when we decide to have our second child, she will definitely be our preferred choice. We are very glad to have crossed paths with her and would like to take this opportunity to express our humble gratitude. I have consulted Dr. Meenakshi for pre and post natal care. Her friendly nature makes us feel comfortable. She has always encouraged to ask our doubts or queries during the consultation. Feel we are in safe hands in all means what usually all pregnant women's expect.she is caring and explains both baby and mom health condition patiently. *** ** *** **** ****** *** we have met for pregnancy treatment and queries. We fixed appointment for the first time in Cloud nine hospital, consulted Dr. Meenakshi R Kamath. Since then we knew that we met the right doctor for pregnancy. Now it's 5th month and doctor is taking very good care and advice for safe pregnancy experience. Very satisfied with Dr. Meenakshi R Kamath.